Calendar — doreen dodgen-magee psy.d. come have a glass of wine, hear a bit about why embodied toys are more important than ever, and buy some fun for everyone on your holiday list! whenever i speak and bring toys with me, folks flock around the table and inquire about where i find the wonders that i have out. the answer is always: thinker toys! so, we’ve teamed up and will be bringing you all the toys for every age group from birth to death (i’m not kidding). 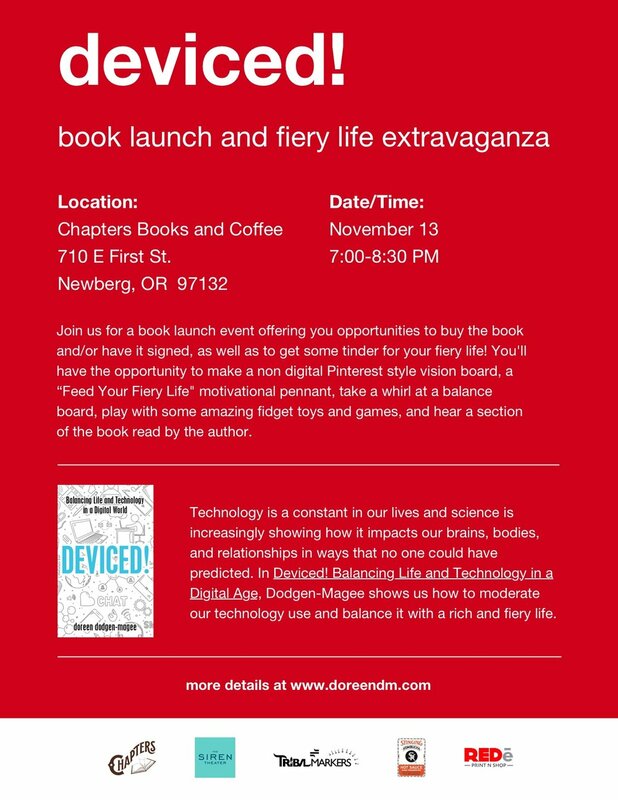 chapters books and coffee will be present to sell the book and i’ll sign it if you’d like. we’d love to see you!